Nerds Rejoice! Rogue One: A Star Wars Story is being released on December 16th! 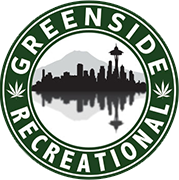 What better way to enhance your viewing than by stopping by Greenside Recreational at either our Seattle or Des Moines locations! Our staff is ready to assist you with all your questions and purchases. You can even pick up some holiday gifts or the stoners in your life while you’re at it. If you aren’t sure which strains would be best for viewing this sci-fi epic, here are some suggestions. Helpful tip: remember while smoking, a Wookie will tear your arms out of your sockets if you skip him in rotation. 1.Cinex – a hybrid, this flower is known for giving people a clarifying and uplifting high. It may start gentle, but this weed will get you baked in less than 12 parsecs. It’s perfect for getting you deep into the plot. You may even feel like you’re on a faraway, alien moon. 2.Cannaman Coffee – A favorite at Greenside, Cannaman Coffee is a distant relative to Cinex, also a hybrid, and has a sweet aroma and is know for it’s HUGE head high. 3.Galactic Jack – The name alone should tell you this one will take you to another dimension. A sativa dominant hybrid, this strain will give you a productive high, which you can use to write a the review of this movie you know you’re dying to share with your friends. Put on your robe, charge your lightsaber and before you get in line (even if it’s a week ahead of time) come stop by Greenside and check out our massive selection of flower, edibles, concentrates and topical solutions. Whether it’s for you or for a fellow stoner, we have something that will take your movie watching/ life living to a galaxy far, far away.